A local elementary school finally opened its doors to students last month. Lake View Elementary, which is part of the Ocean View School District here in Southern California, welcomed 320 students to its now asbestos-free school in early September. The school now hosts students in kindergarten through fifth grade, and it’s Ocean View School District’s first science, technology, engineering, arts, and math magnet school. This school had been closed in 2014 after asbestos was discovered there. 2 other Southern California schools – Hope View and Oak View – had also been closed and later reopened after the asbestos was eliminated from the campuses. While these 3 schools were closed, over 1,600 students were bused to eight other schools in four districts. The asbestos in Lake View, Hope View, and Oak View elementary schools was discovered during a modernization project. Why is asbestos a big deal? The school district officials who closed these 3 elementary schools when asbestos was discovered did the right thing. Asbestos is a mineral fiber that scientific studies have linked to serious disease like mesothelioma, asbestosis, and lung cancer. These disease can take up to 30 years to develop. 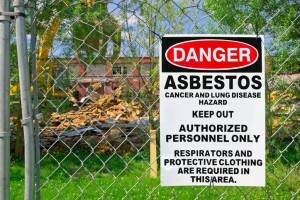 While the presence of asbestos isn’t a huge deal, anytime the asbestos fibers are disturbed in any way (like during a construction project), the fibers can be released into the air and inhaled by anyone in the vicinity. Preventing exposure to asbestos fibers is absolutely essential – so the school officials did the right thing by protecting the elementary students from exposure. However, the school officials did make one key mistake in the case of these three elementary schools. Before beginning any modernization projects, they should have called H2 Environmental Consulting Services. We would have checked every inch of their schools for asbestos, lead, mold, fungus, and various other contaminants. We would have given them a full report of all harmful materials present in the schools so that could be taken care of before the modernization project began. That would have saved everyone lots of hassle – not to mention time and money. Are you a school official? If you’re a school official and you’re not sure if your school has asbestos or any other harmful materials in it, don’t hesitate to contact H2 Environmental Consulting Services today. Our mission is to make Southern California a safer, healthier place to live for all children and adults. We’ll come out and conduct a thorough environmental evaluation on your property so you can begin a construction project or simply go about day-to-day operations without a single worry about the safety of your students, faculty and administrators. H2 Environmental Consulting Services – totally dedicated to making Southern California a better place to live for over 24 years. Contact us today by calling (800) 524-3578 or emailing CustomerService@H2Env.com.